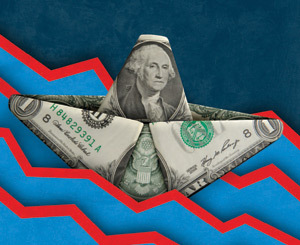 Investors and corporations are revamping their derivatives strategies as they prepare for a resurgence of inflation. At the beginning of the year, investment bankers noticed that institutional investors, hedge funds and corporate clients were starting to show an appetite for risk that had not been seen since the onset of the global financial crisis. For three years plain-vanilla options, futures and swaps had become the norm, and the structured finance products that had led to the demise of Bear Stearns and Lehman Brothers had been shunned. But now many investors are trading exotic types of financial derivatives that had fallen out of favor, such as complex bets on the volatility of the stock market and on the dispersion of volatility levels between stocks and indexes. They are also dealing in larger-ticket instruments and in larger notional amounts than they have since the crisis erupted. The renewed interest in exotic derivatives may also be a sign that investors are preparing for an eventual increase in interest rates after a longer-than-usual easing cycle since the last cut in the Fed funds rate in December 2008 and in the European Central Bank’s benchmark rate in March 2009. Economists will testify that when interest rates go up, stocks go down. 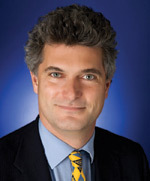 “At some point,” Dominic Konstam, a fixed income analyst at Deutsche Bank, wrote in a recent research report, “higher real rates should have a negative impact on equities.” This, he predicts, will lead to a negative correlation between yield changes and equity returns—which would also translate into a positive correlation between bond returns and equity returns. Yet the possibility of this dynamic’s assuming tangible form is enough to stimulate demand for derivatives that are intended to help investors hedge against the risk of higher interest rates. Expectations of changes in interest rates or equity prices aside, the renewed demand for derivatives of these two asset classes is not just a sign of new perceived risks. It is also a sign of the times for a newly revitalized, postcrisis derivatives industry. As pricing for derivatives has come down, the demand for derivatives—exotic ones in particular—has gone up. 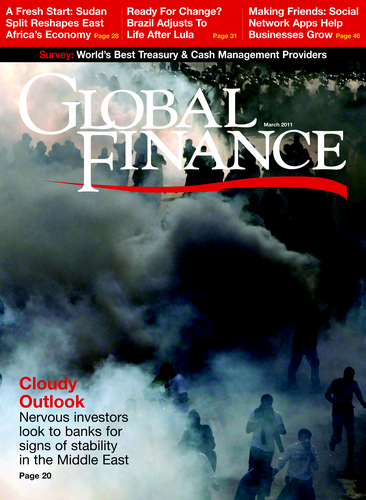 At a time when advances in trading technology are reducing costs for derivatives providers, the large investment banks on Wall Street and in Western Europe that once dominated the business are now perceived in the postcrisis environment as carrying no less risk and no more credit-worthiness as counterparties in a derivatives transaction than are smaller banks that are not as well known. This perception is particularly the case with respect to equity derivatives, as stocks are among the most liquid asset classes, and with respect to interest rate derivatives, where investors value consistency in pricing, according to investment bankers in New York. Of course, investors are gravitating toward providers that offer the lowest fees and the narrowest spreads. Among the banks that have soaked up the most new business in this “new normal” are Credit Suisse and BNP Paribas, mainly in equity derivatives, and Deutsche Bank and Standard Chartered, mainly in interest rate derivatives. “We may be living the ‘Golden Age’ of equity options, as they’ve become affordable again while leverage and hedging will be required to navigate through the ongoing macro concerns,” Nicolas Mougeot, global head of equity derivatives and quantitative strategy at Deutsche Bank in London, wrote in a recent research report. To a large extent, the risks that corporate investors are hedging against are driven by worries over how effective the quantitative easing policies of the Federal Reserve and central banks in Europe will be. “The way QE is being executed runs the risk of derailing its effectiveness. In trying to raise inflation expectations, bond markets have priced yields higher and monetary policy appears to have tightened,” according to Konstam. Investors worry that economic growth rates in the US and Western Europe could remain inadequate to sustain a recovery if unemployment levels remain at their current highs. And if the US and European stock markets continue their gains from late 2010, the $100 billion that flowed into the stock markets of China, Brazil and other emerging-market countries, where interest rate hikes are anticipated this year, could come rushing back. Such a U-turn could be even more pronounced if political unrest in the Middle East has a financial domino effect on other emerging markets around the world. In aggregate, these risks combine to drive demand for both equity derivatives and interest rate derivatives worldwide. However, the volatility that fueled the markets for equity options and futures and the interest rate swap markets last year is not expected to be nearly as pronounced this year. Investors are expected to show a lot less appetite for derivatives that are intended to make a profit against volatility in the months to come. Looking forward, a meeting of the minds may be found among corporate investors in equity derivatives and interest rate derivatives, particularly if interest rates do start rising and the stock markets appear to be headed for a correction. This is most likely to occur in hybrid products where investors are allowed to price the inverse correlation between the two asset classes. A common low-cost strategy involves buying options on both the S&P; 500 Index and the performance of interest rates in a single transaction. The year began with some of the lowest implied and realized equity volatility seen on the US stock market in several years despite concerns that high unemployment could stall the economic recovery in the US and Europe. Nevertheless, many analysts remain bullish. Deutsche Bank anticipates strong performance for the Standard & Poor’s 500 Index and the STOXX 600 Index, which is derived from the STOXX Europe Total Market Index. Deutsche forecasts increases of 22% and 12% in those indexes, respectively, from the beginning of January. Some investors are using longer-dated index options to mitigate opportunity cost, also known as timing risk, and to take advantage of the low implied volatility in US stocks this year. Other investors are executing more complex transactions. They are buying options spreads—taking a long position and a short position at the same time on the Chicago Board Options Exchange Market Volatility Index (VIX), which is a common measure of the implied volatility of S&P; 500 Index options. In an aggressive version of this VIX strategy offered by Société Générale, the investor bets on a large and sudden increase in the VIX, which soared above 100 during the Lehman Brothers collapse. “When there is a crisis, you want to monetize your strategy,” says David Escoffier, co-head of global equity flow at Société Générale in London. In this strategy, a small increase in the VIX would actually result in a small loss for the investor. Until late last year, uncertainty over the future of interest rates was so severe that two radically different sets of fears were driving the market for interest rate derivatives. One widely accepted scenario pointed toward deflation, depicting the US as falling into a Japan-like “lost decade.” Another widely accepted scenario pointed toward inflation. This dichotomy drove demand for interest rate derivatives that are intended to protect investors from the effects of higher rates on the one hand and lower rates on the other. But that has all changed with signs of recovery in the capital markets of the US and Europe over the past couple of months. “The inflation camp currently is much more popular than the deflation camp,” says SG’s David Knott. According to a recent SG survey, more than twice as many news articles now appearing in the media use the word “inflation” as “deflation,” which is a data point that the bank uses to gauge public sentiment. Now corporate investors are looking for products that are intended to hedge against inflation. In 2009, insurance companies alone bought a notional amount of about $30 billion in interest rate caps, in which they received payments when interest rates exceeded agreed-upon strike prices. They bought a lower but comparable amount in 2010. “We expect the insurance companies to continue to be buyers of similar size or higher with attention on regulatory, macro and business risks,” Aleksandar Kocic, a Deutsche Bank fixed-income analyst, wrote in a recent report.